It’s no exaggeration to say that Google is the White Pages of the new millennium, if anything this might be an understatement because of how often people turn to Google for all sorts of information. If your company can’t be found on Google then you have a serious issue, but fortunately it’s a problem that can be solved rather easily. Google My Business is the latest and most powerful tool for connecting business owners with Google. This site allows you to tell Google about your business directly so that you can make sure that the information they have is as accurate as possible. After you visit the site and click on the button that says “Get on Google” you can either find your company as it is already listed or fill out all the information to get your company listed for the first time. It’s important to understand that as your business grows it may be listed by Google even if you don’t do anything, which is nice except for the fact that you will not have the same sort of control over the information presented if you don’t provide it yourself. 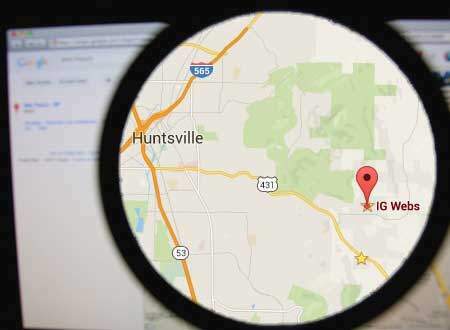 For example, imagine someone uploads your address and then you change locations, if you didn’t use Google’s tool to upload your own information it may be difficult to change the information displayed on Google to so that it is accurate. Using Google My Business you can list information such as the name of your business, its address, and what type of business it is. After entering this information you will need to verify yourself by phone through a much longer postcard process. This is designed to ensure that the people creating Google business pages have the right to do so. Once this is done your business will have a Google+ Business Page and people will be able to find your business on Google maps or through a regular Google search. Applying through Google My Business allows you to upload the most basic information about your company but if you want to get the most out of your Google presence then you need to use Google+. As a social network Google+ has never been able to take off the way that Facebook did but if you have a business you should definitely be a member of Google’s social network. To encourage more people to use the site Google is offering the ability to direct your online presence. If you use Google My Business to upload your information and set up a Google+ profile for your business you will be in the best possible position to reach out to potential clients and customers over Google. Once you have a Google+ Business Page you can upload your phone number, photos of your business, operating hours, and more information to introduce web browsers to whatever you have to offer. Strictly speaking your company doesn’t need to have a website in order to be listed on Google maps but in practice if you want to get the most out of Google you absolutely have to have a website. The internet has changed the things that people expect when searching for companies to do business with. In the days of phone books people might have been satisfied calling a number or driving to a listed address but now people are used to learning all sorts of things about companies with the simple click of a button. If you don’t have a website you’re missing out, which is exactly why we offer the services we do at IG Webs to help you get the sort of professional website you need to succeed online. Getting your company placed on Google’s map is a powerful step towards a more successful and prosperous future but it’s important to remember that it’s just one step. When there were less businesses listed on Google’s map service it might have been enough to have your site pop up whenever people looked at your neighborhood but now chances are that your market is crowded and you need to look at standing out. One of the most important features Google Maps has now is its review tool. Google users can review businesses and those reviews will be listed beside the business whenever people search for it. Good reviews can give you an advantage over the competition and bad reviews could pose a serious problem. Many people only review businesses when they are disappointed so try and encourage your satisfied customers to review your site so you don’t get torpedoed by one unsatisfied customer. Just remember that telling people to leave positive reviews is unethical, focus on providing the best services or products possible and letting customers know where they can leave honest reviews. When it comes to getting your name out there Google can either make or break you. If you ignore Google you may never get found or your business could become associated with negative things written about you. Taking the time to proactively develop your Google presence is one of the most important things you can do if you want to succeed in this new era of business.